Employees at San Francisco General Hospital were ordered to shelter in place for nearly an hour this afternoon because of a report of a gunman near the hospital, police and hospital officials said. Three people have been detained in connection with the incident, which began at about 1:45 p.m. when officers saw a man possibly armed with a handgun near Building 80/90 at the hospital campus at Potrero Avenue and 22nd Street, police spokesman Officer Albie Esparza said. 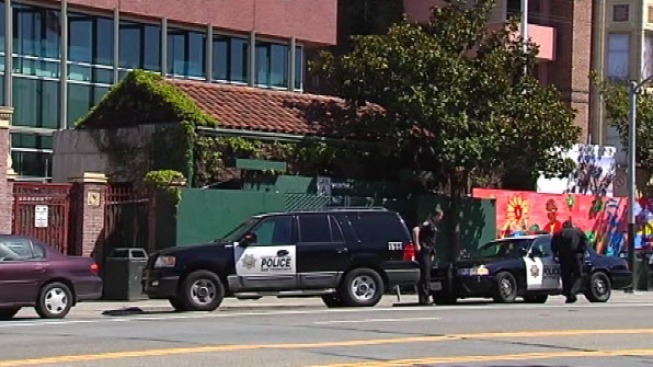 Two of the suspects were arrested near Potrero Avenue and 21st Street, while the third ran into Building 80/90 and was apprehended there at about 2:40 p.m., hospital spokeswoman Rachael Kagan said. That building, an outpatient facility, was briefly locked down and the entire hospital campus was ordered to shelter in place until all of the suspects were taken into custody, Kagan said. The incident did not affect patient care and no one was injured, she said. "From our perspective, it was a minor incident," Kagan said. "We're very grateful for the quick response by police."